The above errors would persist even if the Windows Firewall was active or not. I had already added the necessary ports for Quickbooks in the Windows Firewall. You can find the necessary ports here. The necessary ports for Quickbooks 2015 are 8019, 56725, 55363-55367. 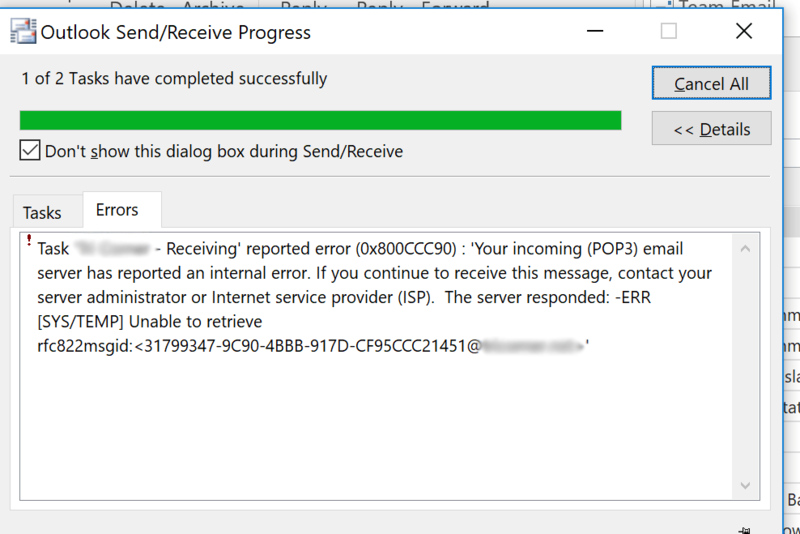 Even after adding the above mentioned ports I was receiving the same Quickbooks Database error. After troubleshooting this issue for some time, I realized everytime that the Quickbooks database manager would run it would add an additional rule to the Windows Firewall. The weird thing was that you could use Quickbooks even though this error was displayed in the Quickbooks Database Manager. However, nobody likes to see errors. I did a deeper drive into the issue. This is what I found. I didn’t find these ports documented anywhere on QuickBooks support, so I decided to add those ports in the firewall. Once I added those ports I ran the Quickbooks Database Manager everything came back successful! If you are having the same error above, try adding the ports I have mentioned in this article. If those ports don’t work, check your Windows Firewall logs and see if the Quickbooks Database Manager is using alternate ports. If you need help configuring the Windows Firewall logging, check this link. I hope this helps. This was posted by techspeeder. This entry was posted in Troubleshooting and tagged QuickBooks, Quickbooks 2015, Quickbooks Database Manager, Windows Firewall on July 7, 2017 by Merlin Halteman. I currently use a Netgear N600 DGND3700v2 as my router/modem combo for my house. This modem works great with my CenturyLink DSL connection. 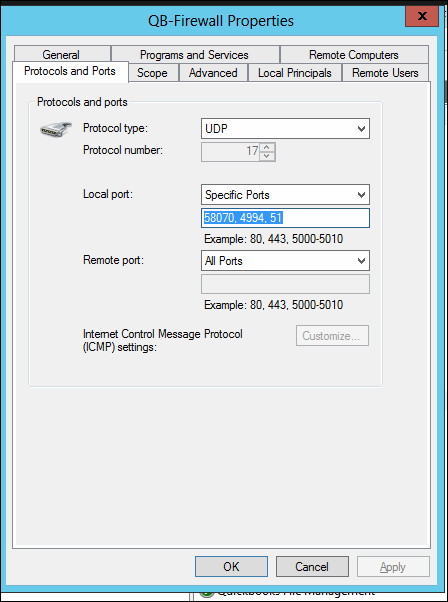 Below are the steps to setup your Netgear N600 with a CenturyLink Internet connection. I am assuming you know how to hook up the cables. If you’re not sure how to hook up the cables, please refer to this document. Once you have the cables connected to the modem you are ready for step one. Step One: Plug the Ethernet cable from the LAN port on your NETGEAR N600 Router/Modem and the other end into your laptop. This entry was posted in Tips and tagged CenturyLink, Netgear on July 5, 2017 by Merlin Halteman. Every message in Gmail has a message ID assigned to it. 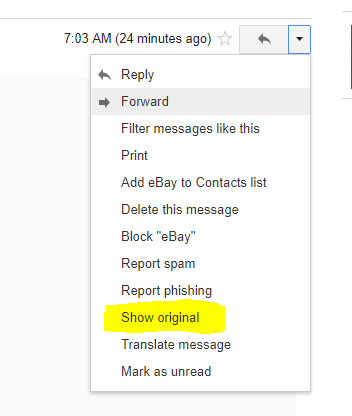 You can find the Gmail Message ID by logging into Gmail, clicking on an email message and then clicking the down arrow beside the “Reply” arrow and then select show original. If you know the message ID, you can search for the message in Gmail by using the following search scheme: rfc822msgid:<XXXXXXXXXXXXXXXXXXXXXXX> . You may need to include the domain name during the search (rfc822msgid:<[email protected]>). This entry was posted in Tips and tagged Gmail, Message ID on July 3, 2017 by Merlin Halteman. How to Disable Microsoft Edge: Did you mean to switch apps? If you are using Microsoft Edge and you visit a website and click on an email address to email someone more than likely you’ve seen this pop-up. Step One: Open Internet Explorer. Yes! Not Edge. Go to a website that has an email address link. Click on the email address and you will receive a popup like below. By unchecking the above option, this also disables the “Did You Mean to Switch Apps” message in Microsoft Edge. Hope this helps, this was posted by techspeeder. This entry was posted in Troubleshooting on April 12, 2017 by Merlin Halteman.